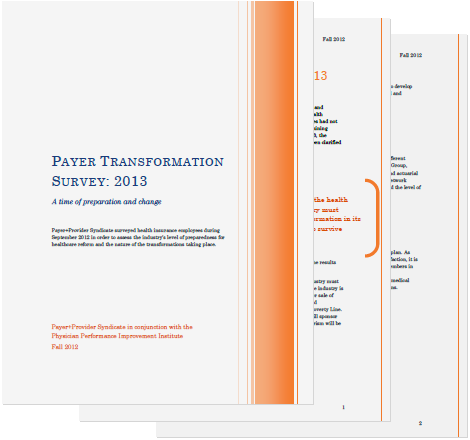 We would like to share with you the results of our Payer Transformation Survey. We found that 87% of respondents believe that the health insurance industry must undergo a transformation in its business model to survive. We are working with payers to address the needs we uncovered through offering market analyses, independent vendor evaluations, and performance improvement strategies.